What?! Quite the title, huh? And what makes me such an expert? Well, I'm not going to go throwing words like "expert" out there, I'm no pro and I'm no coach; however, I am a maximizer! Not actually a good thing, since studies have shown that maximizers tend to rank lower on "happiness" scales than their "jump the gun" counterparts, but it does have it's benefits. Maximizers are all about the research. I might do my research on a product for months before deciding which to buy. In fact, I often think about clothes so much before buying them that my size is gone by the time I make the decision. It may only take 5 minutes to make an adjustment to my bike, but I've watched at least 2 hours of video on how to two it, never-mind the number of articles I've read on it. Anyway, my point is, sure I've only done one duathlon, but you can trust me that I know what I'm talking about. I've done the research and I've also done dozens of running races. And please, if you have anything to add, I'd love to read your comments! These are things that I know will improve my duathlon/triathlon race times and can improve yours as well. Weight is such a big factor in races. Not long ago, I read the book Racing Weight and while I knew that weight had a part in speed, I didn't know the actual numbers. If I remember correctly, for running it converts to something like 1-2 seconds per mile for each pound. For example, if someone who runs a 5k in 30 minutes were to lose 10lbs, they could take 30-60 seconds off of their finish time. As runners, we know that 30-60 seconds is a big deal, it's not just the difference between 1st and 2nd, it can be the difference between 1st and 7th! When we're talking about multi-sport races it's an even bigger deal because weight is a huge factor on the bike as well. If you've read articles or watched videos on road biking, you know what a big deal these guys make about each gram of weight. As newer cyclists, there are plenty of ways for us to lose weight other than the weight on our bodies that you may not realize. For, me I think about the unnecessary attachments on my bike. I could have removed my lights and reflectors before my race, since it wasn't dark. I also didn't need to carry as much fluid as I did, I only drank half my bottle so I could have carries less and even a smaller bottle. Then there's the repair kit to consider, what do you really need? An extra tube, a way to put air in it (C02 cartridge or mini-pump), maybe an allen key or two. I actually carried a patch kit and a mini-pump instead of a tube. Then think of how you carry this stuff, the lightest way it probably to put it in a zip-lock and stick it in a pocket on the back of your jersey/tri-top. One of the easiest and more affordable bike upgrades is to get a lighter wheel set, so that's also something to consider if you're going to be racing regularly. For me, I know that so much of my running is in the mind game. My body can do it, but somehow my brain keeps wanting a walk break. I recently read this article on mentally tough runners, you should too if you need to improve your "mind game." Aerodynamics is another way to improve on the bike that I need to pay more attention to myself and I'm sure most beginners can relate. For those of us who don't have a tri-specific bike, we need to train more "in the drops," this means with your hands on the lower, curved parts of your handlebars. Riding in the drops helps keep your upper body in a lower position, which makes you more aerodynamic. You could also consider getting clip-on aero bars, which ads an element of a tri bike to your road bike and puts you in a more aerodynamic position. I'm not going to talk about preparation in training, because we all know you need to be training properly if you want to improve your race times. When I say preparation here, I'm talking about having your gear ready. My transition times are an area in which I know I can easily cut some time since I wasn't trying to speed it along during my first duathlon. This is a great video that shows how to set up your gear in the transition area so everything is laid out in a logical way for you to add/remove your gear as needed. There was a similar, more detailed video I like better, but I can't find it anymore. 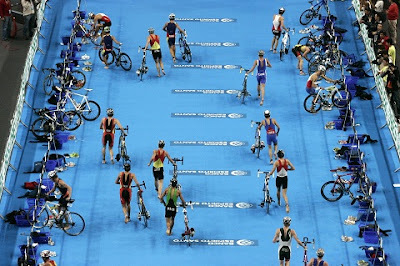 Here is a video on practicing the swim to bike transition and this is their video on the bike to run transition. In that last video, the host talks about elastic laces for your running shoes, I recommend Lock-laces. They are easy to put in and simple to use. While I didn't use them in my duathlon, it was simply because I didn't buy them for the shoes I chose to wear yet. 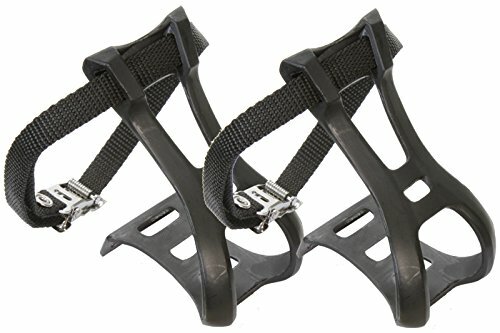 I've had them in two other pairs of shoes and they are a great time saver. If you already already riding your bike with "clipless" shoes and pedal, you need to be. 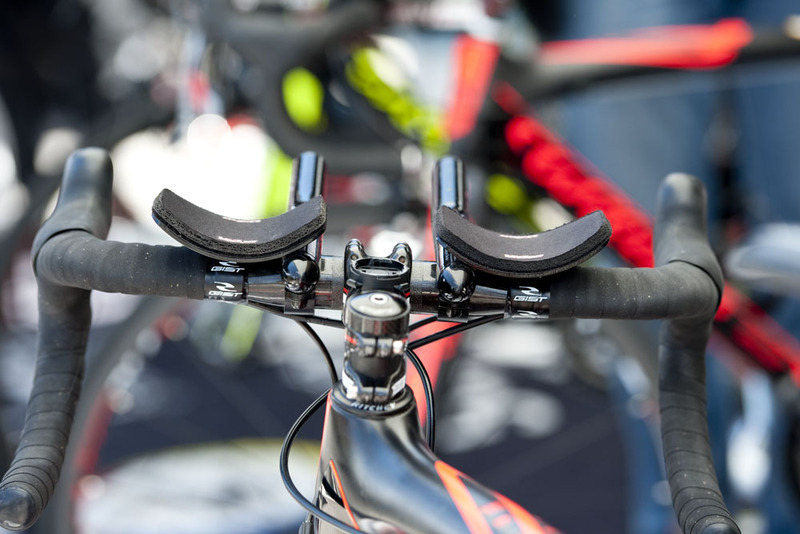 While you will see many beginners wearing their running shoes on the bike (and that is fine), being attached to the pedals is a more efficient way to ride. This way your feet are not going to slip off the pedals if the conditions are wet or if you hit a bump, and you're going to be able to use the upstroke to drive you along and not just the down stroke. I've you're not ready to switch to clipless yet, a good compromise is to use pedals with toe clips or "cages." 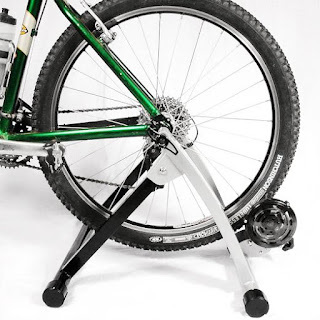 Get a stationary trainer for your bike. This lets you use your same bike as if it were a stationary bike. 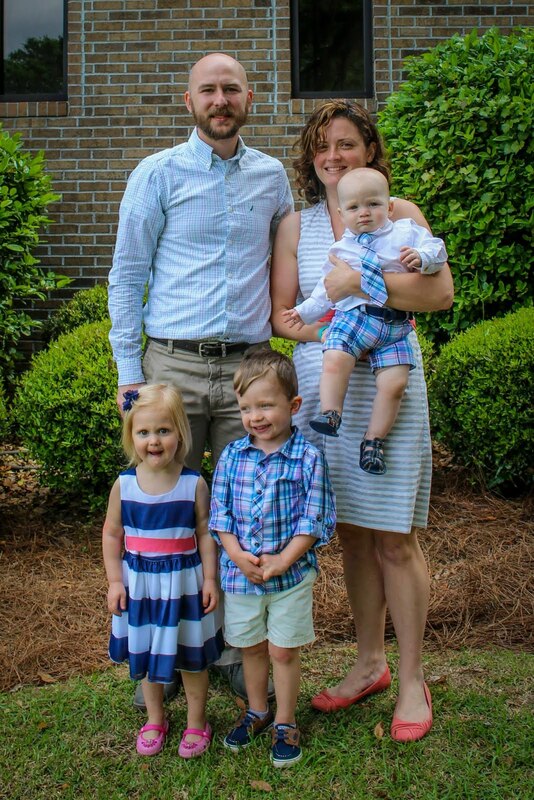 They are affordable and there are so many reasons why you should have one. For one, it lets you practice using your clipless shoes/pedals without the risk of falling over. It also lets you get a ride in when you can't get outside. There are several drills that you can do on a trainer to help improve your riding as well. These drills include pedaling with one foot at a time and focusing on your upward strokes. Think fast, run everywhere. Run into the transition area, run out of the transition area. You may be considering the "flying start" that some triathletes do when they get on the bike, I don't recommend this for beginners. What I'm talking about is when they have their bike shoes already clipped in to their pedals and they hop on the bike then put their feet into the shoes while riding. This takes a lot of practice and it may be something you want to work on after you've improved in the other areas I've mentioned. For now, just make sure you are running when you can, run all the way from the water to your bike, where your gear is lined up and ready, grab your bike and run it out of transition. When approaching the transition area after the bike, ride as close to the transition as it safe, get off and run your bike to the rack. Take off your helmet, change your shoes, and run. Don't stop running until you make it through the finish line.